I create spontaneously through a process of discovery. My work is about seeing. My process involves being present, actively looking and having both an eye for aesthetics and an open mind. Finding the picture, for me, is a means of revealing transcendence in the everyday stuff of the world. ‘Wet Paint’ expresses a moment of creative energy and freedom – when the colors are fresh, pure and vibrant, and the composition is a riotous swirl of accidental harmony. Terra Rathai is an artist and photographer living in Minneapolis, Minnesota. 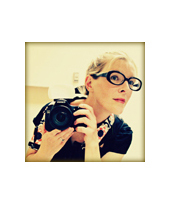 Terra studied Art History in college and graduate school before discovering her love of photography. After the birth of her son, she found that she always had a camera in hand; this inspired her to start experimenting with artistic images of everyday life. Terra’s artistic style is often influenced by art historical imagery, especially paintings. Her process involves being present in the moment and actively looking at the world around her with an eye for aesthetics and an open mind toward subject matter. CityArt and the Mankato Kiwanis Club are teaming up to bring you pancakes and art! Help Us Fill Our Largest Canvas Yet! Internationally renowned Artist Guido van Helten will transform the Ardent Mills silos in Old Town this fall - you can help make it happen! Love a sculpture on this year's tour? You can purchase or lease it for your home, business or community! City Center Partnership serves as a catalyst and supports private and public investment in City Center projects, programs and initiatives. The City Center Partnership is an affiliate of Greater Mankato Growth, Inc.
Twin Rivers Council for the Arts raises the profile of arts in the Greater Mankato area by acting as a united, collaborative voice. As an arts and culture tourism hub, Twin Rivers provides innovative programming and professional development opportunities, and connects people to the arts through advocacy, education and community development. Copyright © 2019 CityArt Mankato. All Rights Reserved.